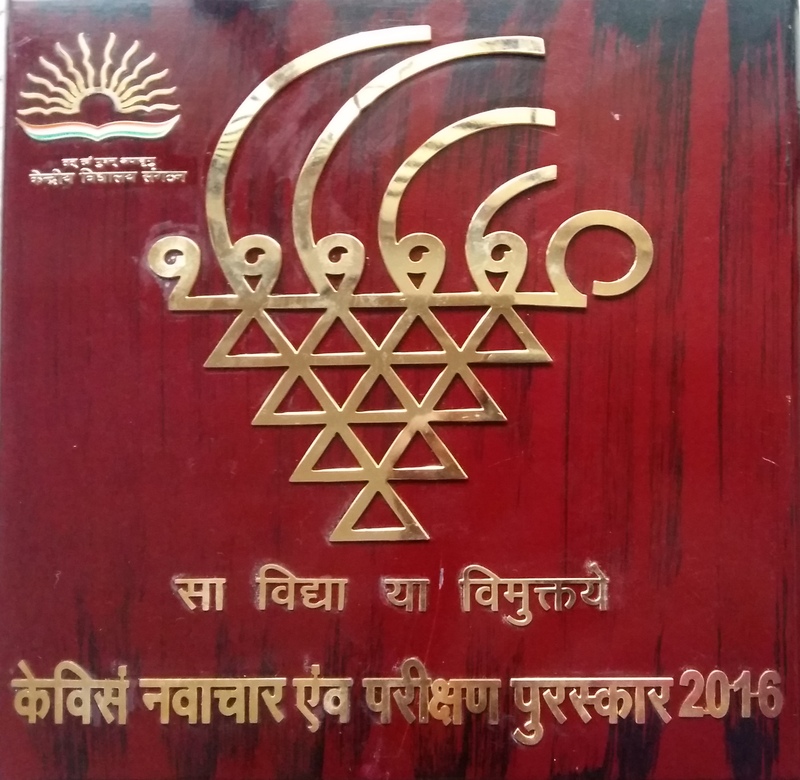 ‘Face a Book Challenge’ has been selected for the KVS National Innovation and Experimentation Award 2015-’16. Shri Upendra Kushwah, Honourable Minister of State, Ministry of Human Resource Development, Govt of India, presented the award to S. L. Faisal, Librarian and coordinator of the project, in the presence of Shri Prakash Javadekar, Honourable Union Minister of Human Resource Development, at a function held in New Delhi on 15 December 2016. Online registration for the popular summer reading programme, Face a Book (FaB) Challenge has started on 1 April 2015. Know more about the FaB Challenge. ‘Face a Book Challenge’ 2014-’15, the reading and information literacy project, concluded. 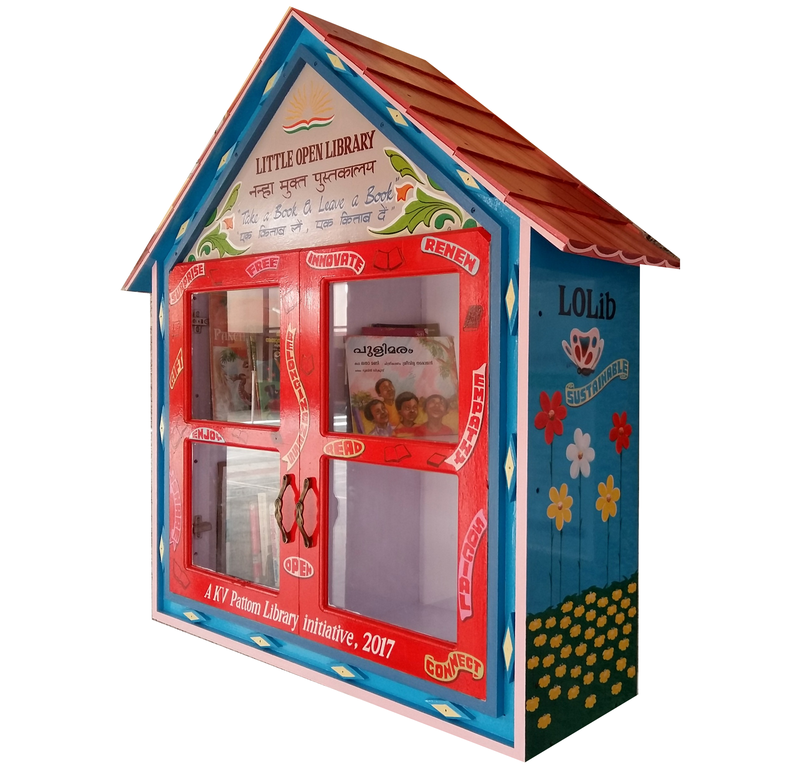 “Face a Book (FaB) Challenge” is a reading and information literacy (IL) programme to promote reading habit and develop information literacy skills among students during summer holidays, followed by continuous and yearlong activities and comprehensive evaluation. FaB Challenge is conceived by the Library of Kendriya Vidyala Pattom, Thiruvananthapuram, Kerala. The project was launched in April 2014 and concluded in February 2015. Fifty students from class VI to XII and four teachers were participated in the project and successfully completed all four activities assigned to them. In the first stage, all participants were given with an option to select their own FaB book from the library. They red the book during the summer holidays and engaged in the assigned activities. The activities include (i) publishing a review of the selected book on the project blog (participants are provided with log in facility to access the blog themselves where they can post contents like reviews, comments, critical analysis, notes, studies and recommendations, etc) (ii) preparation of a scrap book (titled as “My Little Book on_______”, with a review of the selected book, author profile, bibliography, character sketches, new words/phrases, drawings, paintings, quizzes, quotations, images, comments, references, etc. ), (iii) shooting and uploading of a one minute video (Booktalk) on the book, and (iv) presenting a programme (skit, play, reviews, etc) based on the book in the school assembly. The participants were known as “FaB Challengers”. Anyone could challenge an FaB Challenger on the selected book. Evaluation was carried out in each and every stage and eight students were selected as the best performers. Certificates, badges and prizes were presented to the winners and other participants. You may visit the project blog at https://faceabookinfo.wordpress.com to find out how the participants performed. Face a Book (FaB) Challenge is a summer reading programme by the Library of KV Pattom to promote reading habit during the summer holidays (May-June), followed by continuous and year long activities to evaluate its effectiveness. Fifty (50) students, who study in Class VI to XII will be selected for the project as FaB Challengers. They will register on the project website. Each reader has to prepare a scrap book titled as “My Little Book on_______”, with a review on the selected book, author profile, bibliography, character sketches, new words/phrases, drawings, paintings, quotations, images, comments, references, etc. The readers will be provided access to the project blog, where they can post content like reviews, critical analysis, notes, studies and recommendations. The FaB Challenger(s) have to present an item on the book(s) in the School Assembly.